Amomum Zingiber. It is a perennial plant, indigenous in the East and West Indies, having stimulant, carminative, and tonic properties, which render it extremely valuable. It is very useful in cold flatulent colics, and in laxity and debility of the intestines, not heating so much as the peppers, and its effects are more durable. Persons subject to indigestion, flatulency, and gout, have been known to receive great benefit from the use of Ginger tea. Many gouty patients have for years been in the habit of taking a tea-spoonful of powdered Ginger, mixed in any liquid, an hour before dinner, with considerable advantage. When employed with food, it is called a condiment, and by stimulating the stomach and bowels, it may be considered as one of the most useful. Combined with purgatives, it corrects their griping tendency, and it acts externally, like mustard, as a rubefacient, even raising a blister. 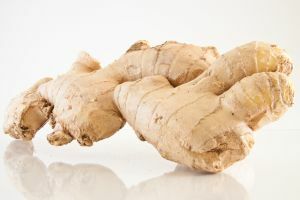 As Ginger promotes the circulation through the extreme vessels, it is to be advised in torpid and phlegmatic habits where the stomach is subject to be loaded with slime, and the bowels distended with flatulency.